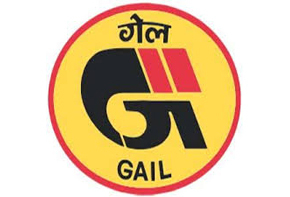 GAIL (India) Ltd was incorporated in August in the year 1984 as a Central Public Sector Undertaking (PSU) under the Ministry of Petroleum & Natural Gas (MoP&NG). The company was been initially given the responsibility of construction, operation and maintenance of the Hazira - Vijaypur - Jagdishpur (HVJ) pipeline Project. It was one of the largest cross-country natural gas pipeline projects which existed in the world. Originally this company's 1800 Km long pipeline was built at a cost of Rs 1700 crores and it laid the foundation for development of market for natural Gas in India. The organization after having started as a natural gas transmission company during the late eighties, has grown in organically by building a large network of Natural Gas Pipelines covering over 9500 Km with a capacity of around 172 MMSCMD and also two LPG Pipelines covering 2040 Km with a capacity of 3.3 MMTPA of LPG, along with seven gas processing plants for production of LPG and other Liquid Hydrocarbons, with a production capacity of 1.4 MMTPA gas has been based and integrated Petrochemical plant of 410,000 TPA polymer capacity which is further being expanded to a capacity of 900,000 TPA. The Company also has 70% equity share in Brahmaputra Cracker and Polymer Limited (BCPL) which is setting up a 280,000 TPA polymer plant in Assam. To accelerate and optimize the most effective and economic use of Natural Gas and its fractions for the benefit of the national economy. As a strategy of the on-going global and further expanding global footprint, GAIL has formed a wholly-owned subsidiary company, GAIL Global (Singapore) Pte Ltd., in Singapore for pursuing mostly the overseas business opportunities including LNG & petrochemical trading. GAIL has also established a wholly owned subsidiary, GAIL Global (USA) Inc. in Texas, USA. The US subsidiary has acquired 20% working interest in an unincorporated joint venture with Carrizo Oil & Gas Inc in the Eagle Ford shale acreage in the state of Texas. In addition to having two wholly owned subsidiaries in Singapore and USA, GAIL has a representative office in Cairo, Egypt to pursue business opportunities in Africa and Middle East. GAIL is also an equity partner in two retail gas companies in Egypt, namely Fayum Gas Company (FGC) and National Gas Company (Natgas). Besides, GAIL is an equity partner in a retail gas company involved in city gas and CNG business in China - China Gas Holdings Limited (China Gas). Further, GAIL and China Gas have formed an equally owned joint venture company - GAIL China Gas Global Energy Holdings Limited for pursuing gas sector opportunities primarily in China. GAIL is a part of consortium in the two offshore E&P blocks in Myanmar and also holds participating interest in the joint venture company - South East Asia Gas Pipeline Company Limited incorporated for transportation of gas to be produced from two blocks in Myanmar to China. GAIL has been a leading public enterprise with over the consistently excellent financial track record. The Turnover and PAT have mostly shown remarkable accomplishment with CAGR of 16% and 12% respectively in the last decade. GAIL has recently developed corporate growth strategy for the period 2011-20 and the same has been approved by the Board of Directors. GAIL aspires to become the integrated hydrocarbon major with significant upstream and downstream interests by 2020.GAIL has formed subsidiaries and also Joint Venture companies for City Gas Distribution and Petrochemicals. GAIL is one of the pioneers to introduce City Gas Projects in India for gas supplies to households, commercial users and for the transport. AGL is in operation in Indore and Ujjain and is supplying CNG to the transport sector in these cities. AGL is supplying CNG to almost 9,000 vehicles in both the cities. AGL has plans to set up 5 and 2 CNG stations in Gwalior and Ujjain respectively and domestic supplies to households. 6 daughter stations are mechanically ready for CNG dispensing, awaiting for CCOE final approval. MoPNG has authorised AGL for CGD in Indore, Gwalior and Ujjain. GAIL has 22.5% stake in the Company along with HPCL as equal partner. BGL is currently operating 6 CNG stations in Vijaywada and 4 CNG stations in Hyderabad and one CNG station in Rajahmundery. BGL is supplying CNG in these 3 cities to almost 6,000 vehicles. BGL is also operating two Auto LPG stations in Hyderabad and one Auto LPG station in Tirupati. BGL has received authorization from MoPNG for City Gas Distribution (CGD) in Hyderabad & Vijaywada. GAIL has 22.5% stake in the Company along with HPCL as equal partner. 2010 GAIL ranked no.1 company among gas utilities in Asia in the Platts Global Ranking. 2010 Petroleum Federation of India (PETROFED) Awards 2010 for Oil & gas Marketing - Company of the year. 2011 AIMA Managing India Awards 2011 for Outstanding PSU of the year . 2011 GAIL's growth strategy for the period 2011-20 approved by the Board . 2011 GAIL started its journey towards "Sustainability Reporting". 2011 GAIL acquired a 20% stake in Houston-based Carrizo Oil and Gas's Eagle Ford shale acreage, first instance of a PSU acquiring shale assets in USA . 2011 A wholly-owned subsidiary company GAIL Global (USA) Inc. formed in Houston, USA and an office was opened . 2011 Office of GAIL Global (Singapore) Pte Ltd opened in Singapore . 2011 GAIL won rights to lay a 1550-km, $1bn natural gas pipeline from Surat in Gujarat to Paradip in Orissa, connecting west to east coast . 2012 GAIL conferred MoU Excellence Award for the year 2009-10 for Best Performing CPSE in the Petroleum Sector consecutively for second year . 2012 GAIL has been ranked World's No. 1 in Downstream Operations in Platts Global Energy Awards . 2012 GAIL become only company from Oil and Gas sector to be included in BSE Greenex, India's first energy efficient index . 2012 GSPA signed between GAIL and TurkrnenGaz for Turkmenistan-Afghanistan-Pakistan-India (TAPI) Gas Pipeline Project . Platts Global Energy Award, 2011 for 'World's No. 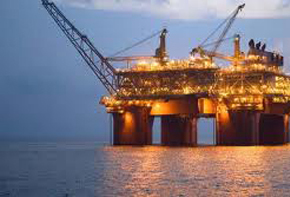 1 Company in Downstream Operations'. Prime Ministers' Excellence Award for the year 2009-10 for Best Performing CPSE in the Petroleum Sector consecutively for second year . 11th ICSI National Award for Excellence in Corporate Governance, 2011 . Corporate Governance Award 2012 by Indian Chamber of Commerce. Commendation Certificate from SCOPE for Corporate Governance in 2010-11. Commendation Certificate from PetroFed for being leading transporter of Oil & Gas in 2011. Kaizen Warrior Award for Most Efficient Navratna PSU, 2011. No.1 gas utility company in Asia and No.2 gas utility company globally, 'PLATTS Top 250', 2010. ICSI National Award for Excellence in Corporate Governance, 2010. Prime Minister's "MoU Excellence Award" for the year 2008-09 .